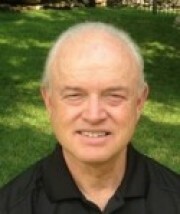 Tim is the Broadcast Sound Engineering instructor at Tulsa Technology Center’s Owasso campus. He helped develop the school’s audio/video production program that may be the only one of its kind at the secondary school level. The Tulsa Tech facilities include a fully functional recording studio and the equipment required to learn film-style videography. 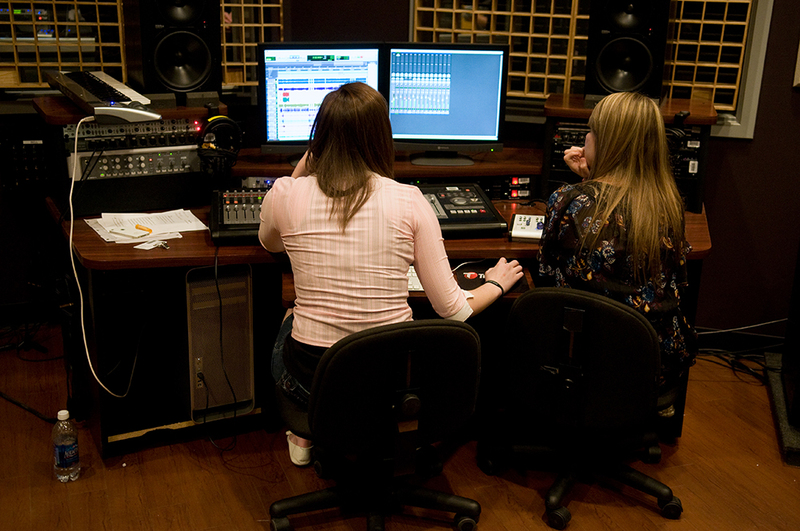 Students learn to use the standard software utilized within the industry and are taught how to set up, operate and critically evaluate content for radio and television broadcasts, concerts, sound recordings and movies. Graduates have the technical training they need to get a wide range of industry jobs. The classes also help prepare students who want to go on to a higher education and major in audio production or filmmaking. Tim has had an interesting career path. He had a love of photography beginning in fifth grade, when he took his first photography class. He also liked music and started playing guitar in a rock and roll band in high school. He went on to Oral Roberts University and earned a Bachelor’s degree in Film, Radio and Television, that let him combined his interest in both music and photography. 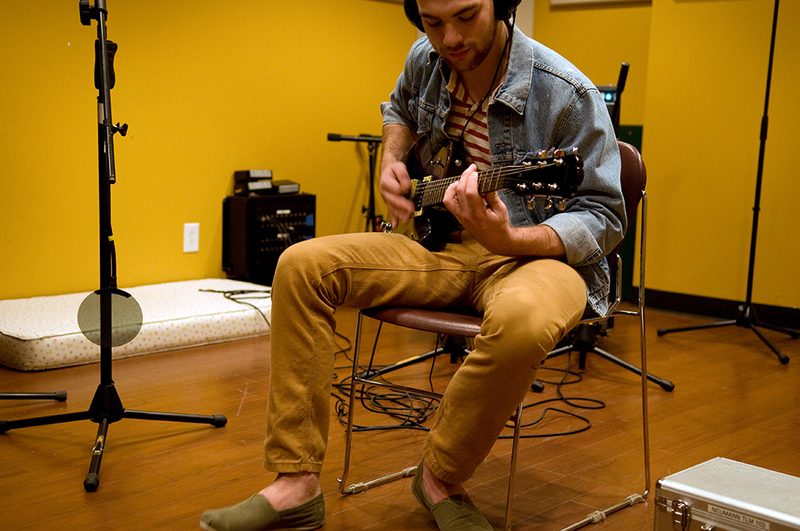 Tim continued with his band during and after graduating from ORU and learned a lot more about sound engineering recording the band’s demos. While the band never reached commercial success, the skills he learned doing sound engineering for their recordings and the film experience he got at ORU eventually led him to Tulsa Tech, where he initiated the Broadcast Sound Engineering program. Technical careers in audio and video are expected to require ongoing education because the technology is changing rapidly. The jobs that most people will be doing in sound engineering in ten to fifteen years have likely not been invented yet. Tulsa Tech works closely with an advisory board, made up of people from local television stations and recording studios to make sure their curriculum stays current and teaches the technical skills needed by employers. I was in a music class when I was in fifth grade and all I wanted to do was listen to records. They kicked me out and put me in a remedial class, where we made our own box cameras and then developed the pictures we had taken in a darkroom. From that point on, I always loved photography. It was something that carried all the way through high school, where I worked on the yearbook and school paper. I found that I had some musical talent when I was in high school and joined a rock and roll band with some of my friends. While I wanted to be a famous musician, my parents wanted me to go to college, like most of my family. Even my grandmothers had college degrees, something that was very unusual for women their age. I went to Oral Roberts University and had to make a decision about a major. I decided to study telecommunications because back then the curriculum included photography and music along with radio, television and film. I graduated from ORU in 1989 and continued to play with different bands. I played around the region and once went on a tour with an outreach band that took me to Eastern Europe. That was probably the most fun I had touring. If you are with a small band you have to get your own equipment, load it in the truck, drive where you are going, sound check it, play the gig, break it down and drive everything home and put it back. But on this European tour they had their own sound men and all I had to do was show up and sound test. Plus, I really enjoyed the cities in that part of Europe, especially Budapest, which I found really interesting. My Tulsa band toured the Texas and Oklahoma region and was not nearly as exciting. Our band needed to do demo recordings to get exposure for our music. But if you didn’t have access to a studio, it was very hard to get a demo produced that you could send to music labels. ORU did not have a sound studio at the time I was going to college. But they allowed me to assemble some equipment for a capstone project and I recorded a ten-song album with my band for my senior project. That was the first time a studio recording was done at the school and it let them know that they were deficient in that area. ORU built their own sound studio soon after I did that recording. I continued doing sound engineering for my band after I graduated. We put out several more demos after recording the original at ORU. As a musician writing original songs and touring, you work hard to engineer a good demo, hoping that it will be picked up by a record label so you can make a living at it. We were always writing new songs and making demos and thought we were going to be discovered at any minute. Working on these demos for almost fifteen years was how I learned more and more about sound engineering. After a few years, we got access to a studio and I did the sound engineering for our demos there. Later the technology advanced to the point where you could do high quality digital recording using a computer. An opportunity came up for me at Tulsa Tech in 2005. The school wanted to develop a class in sound and broadcast engineering and was looking for instructors. When they interviewed me they asked how I would organize the class. I told them that I would make the classroom a sound recording studio and let the students get practical experience along with learning the software used by the film and recording industry. As far as I know, this is the only class of its type at the secondary level, where you have a studio you can record a whole band and the equipment to do film-style videography and recording. I help my students find what they are good at among the various possible jobs and teach them the entry-level skills they need to do them. It is important you have multiple skills if you live in a regional market like Tulsa, compared to places like Los Angeles or New York. You usually cannot be just in video or sound engineering. We do get inquiries from the local television studios when they have openings for camera operators and video and sound engineers, but our students are also likely to get picked up by the big production churches like Victory, Church on the Move and Life Church where they do their own sound and video production. We first work on acoustics and microphones and do a faux radio show to let the students get the feel of an audio software program called Pro Tools. Then we move on and make a short film commercial on a product that doesn’t exist. The students learn how to use the video equipment, do photographic composition and how to use a digital program called Final Cut to do the editing. We then marry the two and put the audio into the film. Next, we teach them lighting for film photography. Once we have the lighting introduced, we do a serious short film like a documentary. We want our students to understand that television broadcasts and film production are different. We are trying to evoke an emotion when we produce a film, while in television news you are trying to report facts. We also have an advisory committee, made up of people from the local television stations and recording studios, who keep us up-to-date on the equipment and software currently being used in the industry. That way our curriculum teaches our students what they need to know to work for employers in our area or elsewhere. Kendal Osborne is a 2007 graduate who has opened the Closet Studio in Broken Arrow where he specializes in acoustic music and also teaches night classes in our program. Classes begin your junior year of high school. If you have an interest in this program you can apply online at tulsatech.edu. Applications can also be obtained in the counseling offices on any of the Tulsa Tech campuses; at the Career Services Center located on the Memorial Complex; or by calling 918.828.5000. The median annual wage for broadcast and sound engineering technicians was $41,780 in May 2015. The median wage is the wage at which half the workers in an occupation earned more than that amount and half earned less. The lowest 10 percent earned less than $20,940, and the highest 10 percent earned more than $83,120. Technicians working in major cities typically earn more than those working in smaller locations.